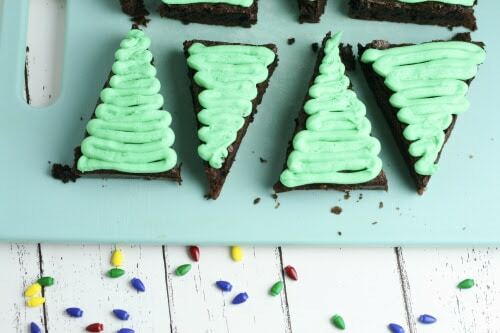 These Christmas Tree Brownies are so cute, it is hard not to smile just looking at them. They are so super easy to make. With all of the holiday cookies, I always like to make sure I make brownies. 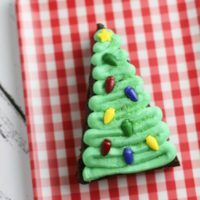 A brownie with icing is a delicious treat that takes your already delicious brownie straight over the top. Having a little holiday celebration? Make these delicious Homemade Peppermint Patties as another extra special treat. 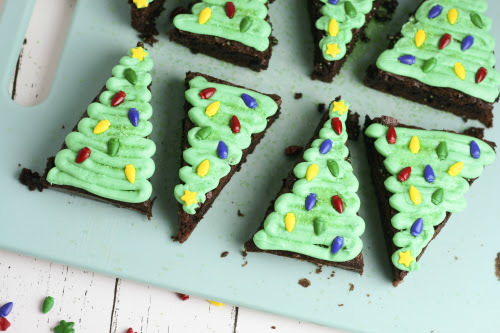 These Christmas Tree Brownies are so cute, it is hard not to smile just looking at them. They are so super easy to make. Bake brownies according to package directions in a square baking pan. Allow to cool completely, then carefully remove brownies from pan and place on a large cutting board. Cut the brownie in half, then cut triangles out of each side. Discard the four edge pieces. Prepare your icing by mixing green food coloring into the premade vanilla icing until desired color is reached. 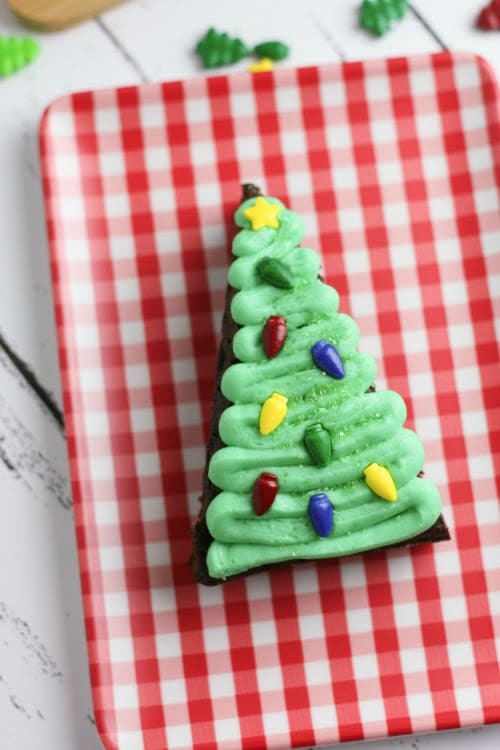 Place icing in a piping bag or zip top storage bag and pipe icing onto each brownie. Top with green decorating sugar and Christmas light sprinkles. 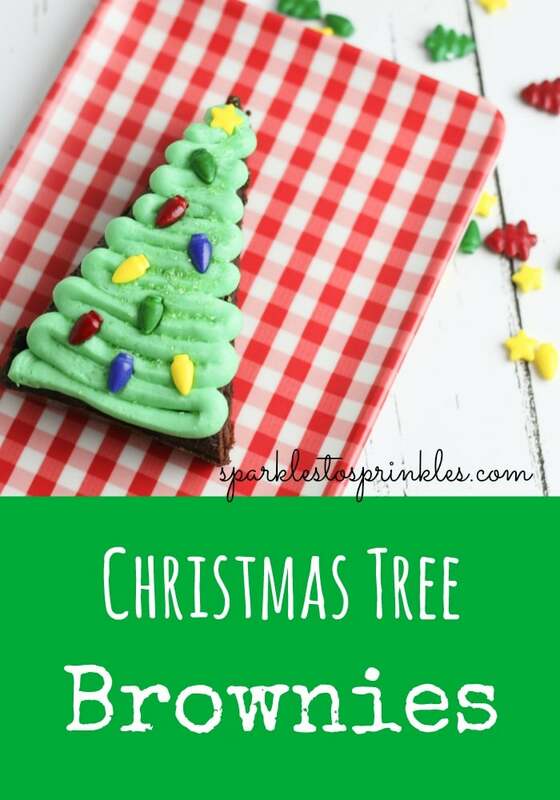 Add a star sprinkle to the top of each tree.